Software-defined storage (SDS) manages data growth and enables multicloud flexibility by providing an agile, scalable, and operations-friendly infrastructure. → Digital transformation is key – get the critical resources for the next-generation of IT Infrastructure! Based on IBM Spectrum Storage, Pixit Media’s software-defined solutions equip media and entertainment firms with performance and scalability. Blue Chip transformed its approach to the provision of managed services with IBM software-defined storage and IBM Global Financing. The Bunker builds a nuclear bombproof, deep archive solution on IBM Cloud Object Storage, for compliant, cost-effective data storage. Prepare your organisation for the future of data storage: gain the most value you can from your available data as easily and as inexpensively as possible. Visit our Education page to watch the webinars that fit your business needs the most. Manage data growth from under 100 TB to many petabytes with ease. Gain leading data integrity and security, and native hybrid cloud options. 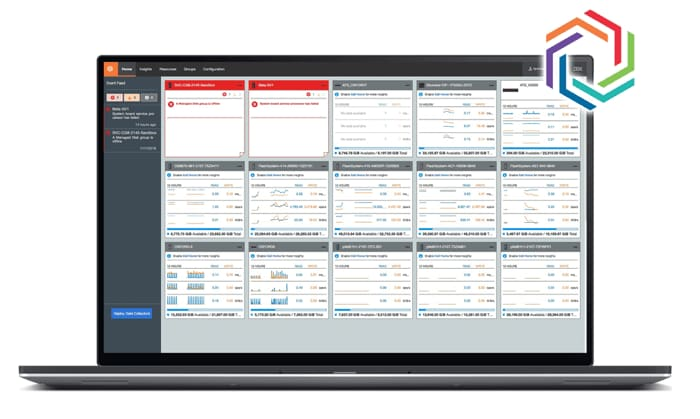 Industry Transition to Software-defined Storage Satisfied with Spectrum Storage Suite ! How the rise of 3rd Platform computing and cloud services are driving the development of modern next generation applications? Unstructured data has exploded in volume over the past decade. See which of IBM’s software-defined storage solutions enable you to modernize and spend less on traditional infrastructure, freeing resources, money, and time!